Christmas is a time for good cheer…. It’s a time for people to come together and enjoy each other’s company, delight in the beauty of Christmas, and appreciate everything the holidays has to offer. ...but it’s also a great time for business. In fact, the holidays aren’t just great. 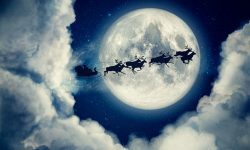 For many businesses, the Christmas season is without a doubt the most lucrative time of the year. It’s the only time of the year where a large percentage of companies can acquire a majority of their entire year’s revenue within a span of a single month. It’s such an important time for business that some entire industries are made and even broken because of it. And even if the holidays don’t tend to bring an increase in revenue for your business, it’s a great time to show community spirit, decorate for special occasions such as charity events, improve employee morale, and more. Chances are, Christmas is an important time for your business and you want to maximize the impact the holidays can have on it. But are you? Are you taking full advantage of all the tools in your toolbox to help market your business this coming holiday season, and as a result, maximize revenue? When you think about maximizing your foot traffic and resulting revenue for your business over the holidays, typically most people think about all the tools and tricks they always have all year long. Specifically, by Christmas, I’m referring to commercial Christmas decorations. 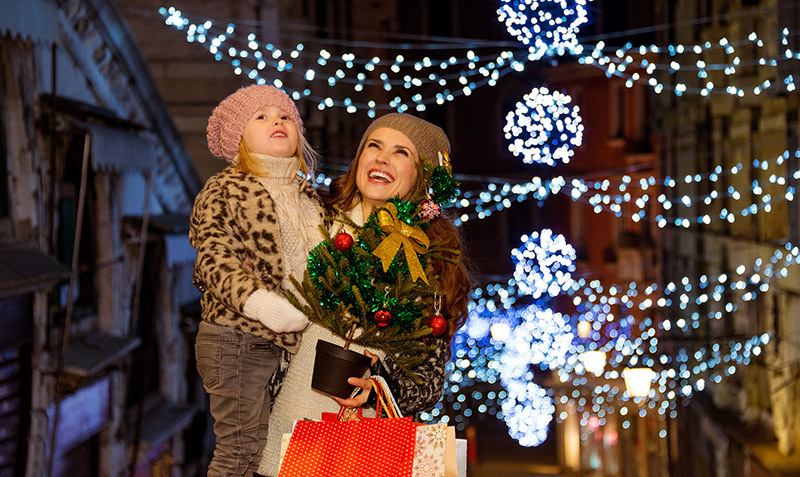 During the holidays, few things are as powerful and eye-catching as a beautifully and uniquely decorated location or storefront. 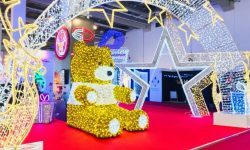 Whether or not your business has anything to do with Christmas, gifts, or anything else, if you’re clearly demonstrating some serious Christmas spirit with a grand Christmas display you’re going to be immediately noticeable from a mile away. Your business does better when more eyeballs are on it. I know, simple concept, but stay with me. The thing is, people have been programmed, since they were little, to seek out beautiful and unique Christmas displays during the holidays. A great example of this is The Grove in Los Angeles, California. The Grove is a somewhat famous outdoor mall just outside downtown Los Angeles that is known for attracting notable celebrities such as Miley Cyrus and Kim Kardashian. However, nothing attracts people to The Grove like Christmas time. The Grove is known for having one of the most incredible Christmas displays around and people flock in greater numbers to it during the holidays just to be surrounded by the beauty of soft Christmas lights and festive decorations. And the businesses there reap the benefit. But there’s more to it than just attracting people with lights and decorations. We naturally want to tell our family and friends when we see a really cool display of Christmas lights and decorations– no matter where we saw it. In today’s digital age, word of mouth is especially powerful because of the viral nature of content online. If someone passes by your display and loves it, there’s a good chance they’ll take a picture and post it to Facebook or another social network. Well done Christmas decorations can be great for generating social traffic all season long, resulting in great free exposure. 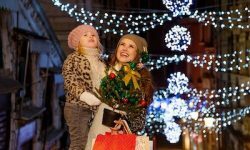 If you take full advantage of the power of commercial Christmas decorations during the holidays, you’ll be instantly noticeable in a way that’s impossible to emulate throughout the rest of the year (then again, maybe if you just keep the lights up? Yeah...maybe not). This can lead to more eyes, more traffic, and ultimately more revenue during the holiday season. Clearly, commercial Christmas decorations are a powerful marketing tool you need to take seriously for the upcoming holiday season. But how do you do that? Getting a few strands of lights and throwing them up here and there is easy, but that won’t get you anywhere. If you want to take advantage of the marketing power of a great commercial Christmas display, you need to be smart about how you do it. And, by the way, that doesn’t mean you have to spend a lot of money. If you’re just getting started or don’t have much in the way of decorations now, make a plan to add to your collection gradually over the next several years. This allows you to slowly build something incredible over time. First, it’s important to get a few things that will help you stand out. Remember that you’re trying to make an impression and you’re not going to do that by looking like everyone else. You don’t have to get anything over the top, but you should have an idea about how you can make your display unique and interesting (however large or small). This is all about standing out from what is around you, so if you’ve been in your area for a few years think about the kinds of lights and decorations you’ve seen surrounding businesses use and go for a slightly different theme. Examples include a really impressive commercial Christmas Tree , which is often the centerpiece for a well designed commercial Christmas program. This can be a simple 12' commercial tree or a 50' giant feature tree, depending on your budget and the space you have available. This could also include Christmas wreaths for doors and light poles, or you could go all the way by adding garlands, bows, and other decor pieces. Another way to make sure you stand out is by using commercial Christmas displays like roof-top pieces or ground mounted displays. Another important but easily forgotten point is to only buy high-quality decorations from a reputable source. Using high-quality LED Christmas lights– which are brighter, more powerful, and more resilient than other Christmas lights– and decorations are an important key because low-quality pieces can lead to wasted time and money and a less-than-stellar Christmas display as a whole. We’re not trying to brag (too much) but we know the pain and hassle badly made lights and decorations can cause and we don’t want you to go through the same. As a business, you’ll likely have your Christmas lights and decorations up for more than a full month. The last thing you want is for lights to start going out or decorations and displays to start falling apart. Do yourself a favor and get commercial Christmas decorations from the best. That will give you one less thing to worry about. 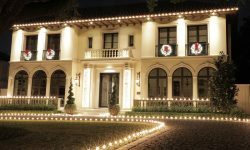 Now that you’ve got a great, unique set of LED Christmas lights and commercial Christmas decorations, you’re ready to start decorating. However, it’s important not to just throw everything up and be done with it. Remember, this can have a significant impact on the foot traffic (and resulting revenue) your business receives for the holiday season. Take some time to put thought into how you want to decorate your space whether it’s a simple storefront or you’re decorating for a large commercial property. You’re trying to stand out, so it’s important you don’t just do things how you see everyone else doing it (unless you do it way better, which is often the easiest way to stand out). We'd also suggest thinking about this before you even purchase anything. Think about how you’ll decorate the space and what you’ll need to execute your vision beforehand and then order accordingly (and add some extra decorations and lights to give you wiggle room). Preferably, you should also speak with commercial Christmas suppliers who have professional experience installing Christmas decorations. 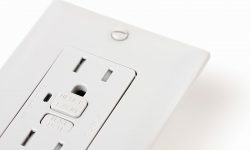 By asking for guidance and technical assistance regarding installation techniques and with planning your holiday program you’ll save a lot time and energy and avoid potential headache. Shoot for recognizable with a twist. People love seeing something different but it needs to feel like Christmas at the end of the day. 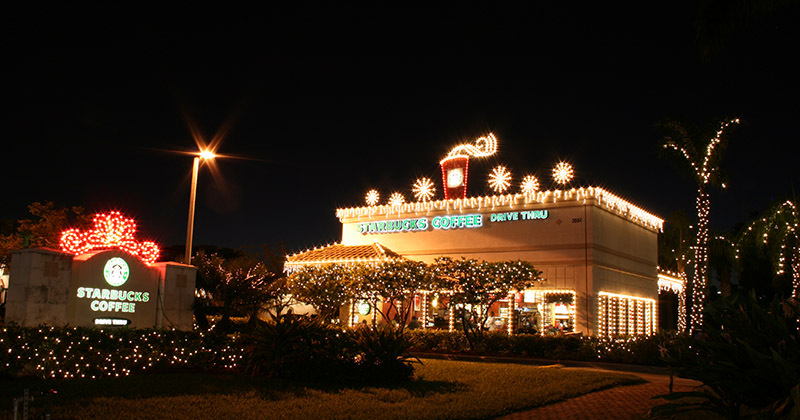 Whether you’re a large commercial property, a small outdoor location, or have a simple storefront a great commercial Christmas display can have a real impact on foot traffic and revenue for the holiday season. Whether you go all out or use a few simple LED Christmas lights and some decorations, if you use the tips above you’ll be able to maximize the marketing power of Christmas for the upcoming holiday season. 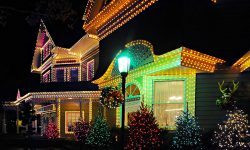 Check out our homepage for more inspiration including the highest quality LED Christmas lights in the industry, commercial Christmas trees, wreaths, garlands, and more.